With a new school year starting up, we find ourselves getting back into routine. We dig out the calendar that's been collecting dust all summer and start filling in the boxes again. We organize school supplies, set alarm clocks, and lay out the lunch making station. As much as we enjoy the lazy days of summer, we all know how important routines are for our children and for ourselves. Without routines, we bob from one thing to the next, like tubing down a river in the hot summer sun, directionless, spinning and swirling, at the mercy and whim of the current. One of the routines that is easy to get out of is that of doing devotions with our children. Of reading Scripture with them and talking about what it means. Of theological instruction. Parents are a child's first and primary teacher and disciple-maker. Sadly, much of our disciple making gets set aside for the more urgent tasks of getting ready for school, homework, and driving to lessons and practices. The truth is, we all have enough time in our day to spend doing devotions with our children. Some families might choose breakfast as their time, others might do it after dinner, and still others mind find bedtime to work best for them. Whenever you schedule it and however short or long you make it, make it part of your routine. While many other things we do with our children have temporary benefits, investing in their hearts has eternal significance. This is one we've used over and over and so often that the cover is bent and folded back! Each week there is a question from the Westminster Confession Shorter Catechism and throughout the week, the devotions explain the question and provide verses to look up and read. The author also has a similar devotional based on the Heidelberg Catechism. Age range: elementary to middle school, possibly even older. 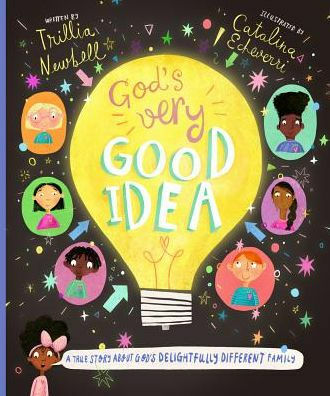 This is a picture book that has short sections explaining theological concepts. Age range: elementary school. This is a Christ centered devotional based on Proverbs that helps children understand specific proverbs but also how Christ is the only Wise One. Age range: elementary to middle school. This is one of the first devotionals we ever used. It has a Bible verse for each letter of the alphabet and an accompanying story about a child learning lessons about God and his word. There is a separate coloring book and curriculum we used as well. Age range: preschool to early elementary. This is one we are currently using. It goes through sections of the Westminster Confession and unpacks different theological concepts. The devotions are brief and include a passage of Scripture to read as well as discussion questions. Age range: upper elementary, middle, and even high school. I shared about this book a few months ago but because I love it so much, I wanted to share about it again. It's not a traditional devotional but we used it during our morning devotions. Each chapter focuses on a different aspect of Christianity and explains the faith using engaging graphics and illustrations. It includes sections not only on the gospel and specific theological terms but also Biblical history, missionaries, and my favorite—why children should clean their rooms. Age range: I read this to my elementary and middle school children. We used this book, as well as the one on Exodus, when the kids were younger. 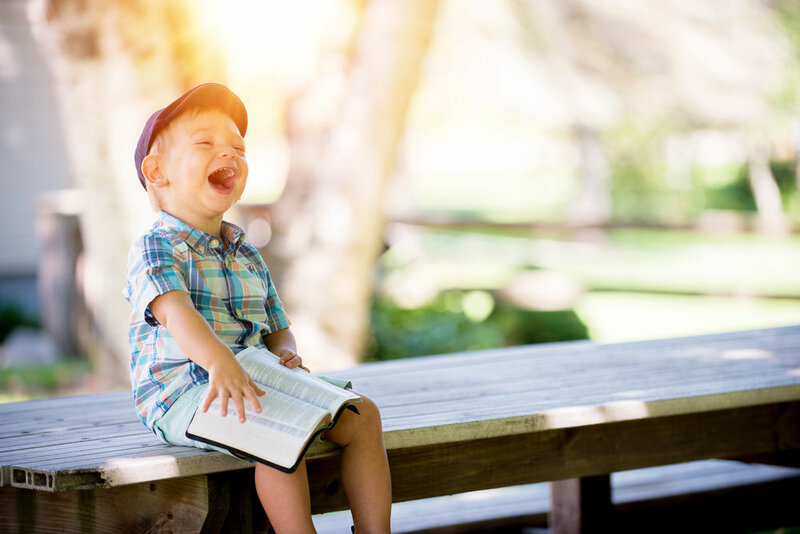 Each chapter is a story about three children and lessons they learn about God, his word, and his covenant with his people, as they spend time with a neighbor who teaches them about the book of Genesis. The children in the story apply what they've learned to daily struggles in their lives. There are discussion questions at the end of each story. Age range: Great for early elementary. This is an old favorite of ours and one we did more than once. A grandfather has a box filled with little wooden figures he has carved. Each figure represents a story in the Bible. Each time his grandchildren come to visit him, he takes out a wooden figure and tells the story from the Bible it represents, helping the children see how each story fits into the bigger story of redemption. Age range: For use with elementary to possibly middle school. This is a devotional by Nancy Guthrie. 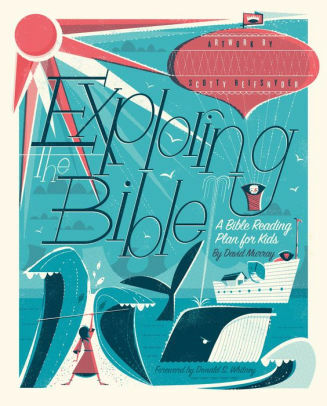 If your children are beyond picture books and needing illustrations to look at, this is a great resource for devotions and for engaging in discussion with your children. Age range: middle and high school. Most believers have a favorite promise in Scripture that they have memorized and cling to during hard times--often even more than one. Personally. I have always been partial to Isaiah 40, in which we read, “Fear not, for I am with you; be not dismayed, for I am your God; I will strengthen you, I will help you, I will uphold you with my righteous right hand” (v. 10). I remind myself, on a regular basis, of this biblical promise as well: “…nor anything else in all creation, will be able to separate us from the love of God in Christ Jesus our Lord” (Romans 8:39). 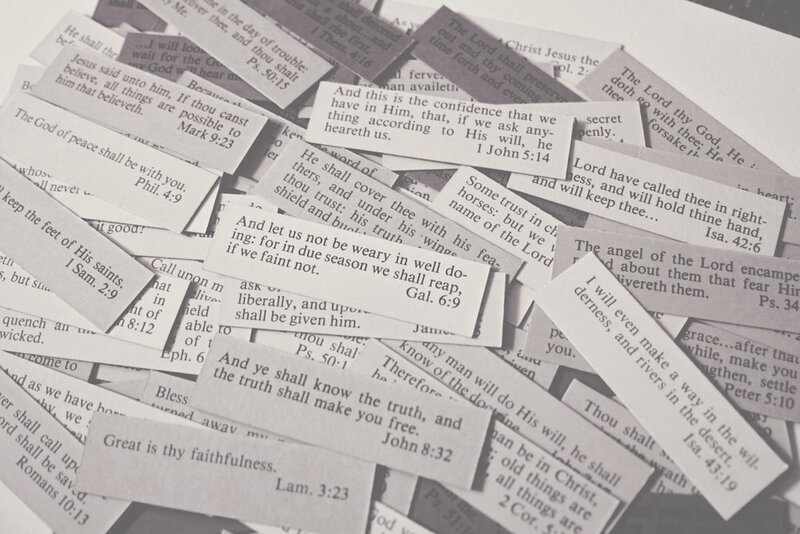 The promises that God gives us are almost too numerous to count. He promises to provide our needs (Philippians 4:19), forgive our sins (1 John 1:9), produce fruit of the Spirit (Galatians 5:22-23), grant eternal life in Christ (John 11:25-26), and to be with us always (Matthew 28:20). Some Christians look at such promises and say that we must claim them in order for them to be true for us. We must believe them with all our heart and they will come to pass. As though we can click our heels three times, squeeze our eyes shut, and recite a verse over and over and the next thing we know, God’s promises are delivered into our hands. God’s promises are not true because we believe in them. They don’t come to pass because our faith is great. God’s promises will come to pass simply because God said them...to read the rest of this post, visit Christward Collective.